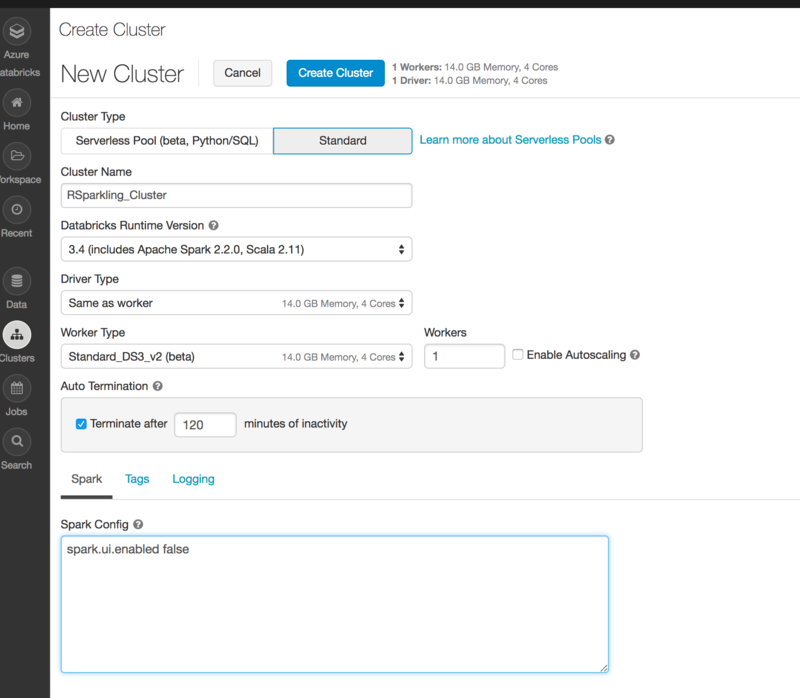 Sparkling Water, PySparkling and RSparkling can be used on top of Databricks Azure Cluster. This tutorial is the RSparkling. For Scala Sparkling Water, please visit Sparkling Water on Databricks Azure Cluster and for PySparkling, please visit PySparkling on Databricks Azure Cluster. Upload Sparkling Water assembly JAR as a library Even though we are using RSparkling, we need to explicitly upload the Sparkling Water assembly Jar as it is a required dependency. In order to create the library in Databricks, go to Libraries, select Upload Java/Scala JAR and upload the downloaded assembly jar. If you download the official distribution, the assembly jar is located in assembly/build/libs directory. The assembly Jar can be downloaded from our official Download page. 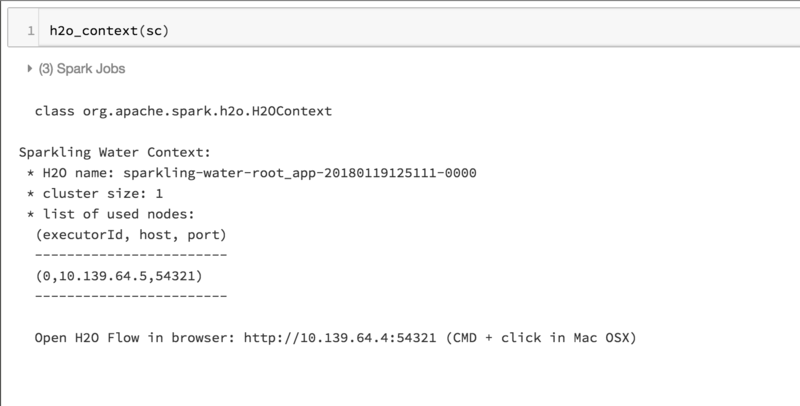 # Now we download, install, and initialize the H2O package for R.